Saimaa ringed seal. File Photo – Lehtikuva. 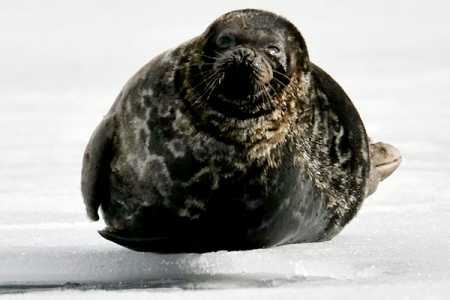 Protections for the Saimaa ringed seals have increased the population of the endangered species. This year, 86 pups were born, more than any time over the past 30 years, said Metsähallitus, the state-owned enterprise which manages state lands and water resources. The organisation estimates for the highly endangered Saimaa ringed seal around 360. According to the administration, a larger number of seals have survived due to the 2010 and 2011 net fishing restrictions. Survival has also been helped by volunteers who have built snowdrifts, where the ringed seals can rear their pups.